There are a number of famous fashion designers in India. The industry for fashion in India had witnessed a boom over the last few years, with a growing list of top Indian fashion designers showcasing their work on the International stage. From the traditional sarees, to the exquisite collection of fabrics, the Indian fashion industry has embraced its inner beauty, and displayed to the world the immense talent of Indian designers. She is among the earliest, and most reputed, fashion icons from India. After having developed her own unique style, Kumar catapulted to the top of the industry, both in India, and the world. Ritu is globally recognized for her astute styles that reflect ancient Indian traditions, and the use of locally produced fabrics. With a background in histry and musicology, Kumar has displayed to the world a new face of Indian clothes – one that surges forward by delving deep in the past. Having successfully bridged the gap between traditional and modern India, Ritu Kumar is a formidable designer, and is a brand in herself. She has also designed the wardrobes of three Miss India winners, all of whom went on to win the crown at their respective international pageants. With the successful launch of a new brand, titled LABEL, in 2002, Ritu now caters for the everyday wear of Indian women, who while rooted in their traditional upbringing, are looking towards to brighter future than imaginable earlier. At the age of just 25, Malhotra made a firm entry into the Bollywood film industry, by styling actress Juhi Chawla in Swarg. If you look at 34-year-old Manish today, one can’t help but wonder about the accelerant behind the man behind the starry looks, that Indians can’t seem to get over. As a costume designer, Manish has dressed some of the most beautiful women Bollywood has ever been graced with. Names of the stars Malhotra has dressed include Karishma and Kareena Kapoor, Aishwarya Rai, Rani Mukherjee, Preity Zinta, the evergreen Madhuri Dixit, Raveena Tandon, and many more. It was only in 1998 that Manish took a detour from his career of making the films stars look good, and launched his flagship store, aptly named Reverie. A high-point during his many years of designing for the stars came when he was asked to dress the late pop-music icon Michael Jackson for the Bollywood awards held in New York. Impressed by the Indian’s work, Jackson asked Manish to style his Munich show, and design some outfits for his children. If there’s one thing that we know about Beri, it’s that she is used to achieving milestones. 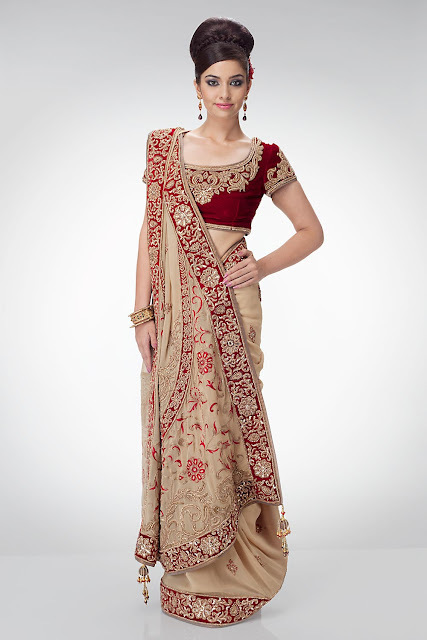 The Indian designer is, for all intents and purposes, incomparable. She is specially commended for being the first Indian to present a collection in the world’s style capital at Paris. Having begun her illustrious career with the launch of her first line named Lavanya in 1990, Beri is in many ways solely reponsible for the world realizing the immense potential of Indian fabric and styles. Ritu graduated from Delhi University in 1987, and decided to pursue her interest in fashion as a profession. After enrolling in the National Institute of Fashion Technology in 1988, Beri was quite to begin her foray into the world of high styles. Ritu Beri’s talents have bought her clients like Former US President Mr. Bill Clinton, Hollywood celebrities, famous Parisian Socialite, the Swarovski family, among a bevy of other similar VIPs. Bal’s sense of aesthetics and fabrics have won him accolades the world over. Given the honor of being referred to as “India’s master of fabric and fantasy” by TIME magazine in 1996, the entire community has hailed him as one among the country’s finest style gurus. With a keen eye that sources materials from villages and local craftsmen, Rohit has mastered the art of converting local Indian textures into beautiful fabrics and cloths. After completing his graduation in History from St. Stephen’s College in Delhi, Bal went on to work in his brother’s export company till 1990, when he ventured forth to create some fabulous designs for men. Having styled the likes of Uma Thurman, supermodels Cindy Crawford and Naomi Campbell, Rohit Bal has little left to prove that he fully deserves the honorable title of a master at his art. Valaya has made a name for himself as Indian’s premier fashion designer, with some of the most inspired and original creations ever seen. His ahead-of-the-curve designs express a never-before-seen fusion of traditional crafts and contemporary haute couture is a signature factor behind the immense success of the House of Valaya. J J is responsible for much of the recent revival and redefinition of traditional Indian crafts as niche market by itself. In an increasingly global fashion scene, Valaya has achieved much by combining the past and future into the present. Having his designs showcased everywhere from Hong Kong to Paris, has earned him a much deserved spot on this list of Indian fashion designers who are at the top of their trade and art. His two latest apparel lines, Couture and Diffusion, have wowed the toughest critics in the world, with their unique taken of the majestic exuberance of the royal era, as seen through the lens of a contemporary visionary designer. Tarun is celebrated as one among the top Indian designers today. After acquiring a degree from the Fashion Institute of Technology in New York, he cam back to India in 1987, only to bring forth a revolution with his very first boutique named Ensemble. His designs always come with a unique twist, and are available at his studio in New Delhi. His brand label, titled Ahilian, is sold worldwide, from Tokyo and Dubai, to even London and New York. She burst onto the Indian fashion designing scene in the late 1980s, and has since then held her position at the top as one of the most innovative and creative designers in the country. Having trained with designer Evan Grandhal, Dhaka is best known for her themed collections. Her forte continues to be of western wear, and are generally divided into pieces that can be wore separately. When looking for Indian fashion designers who don’t hesitate to step out of their comfort zone, Rina’s is the first name that comes to mind. She has held shows in the style capitals of the world, and has also had her work featured on the prestigious Vogue and Elle, and most definitely deserves a spot on this esteemed list of fashion designers. Among the many new generation top fashion designers in India, Narula has managed to carve a place for himself in this glamorous industry. Having launched his brand label AKI in 1996, his name is now firmly established as one of the best designers of Indian and western designs in the country. Aside from being a popular choice for style by Bollywood celebrities, Aki’s clothes are found in some of the leading salons in Indian including Esemble, Camelot, and Ogaan. It was in 1994, when Damania Airlines initiated a designing award in the five Indian metros. Narula took part from Kolkata, and won the final award with his exciting takes on western attire. He had his first show at the Opera House in Mumbai, and went on participate at the Lakme India Fashion Week in 2000. Aki’s story is one of humble beginnings, where he progressed from owing one store, to over eleven spread across the country. She began designing clothes when over 20 years ago, before the inception of even the NIFT. She learnt the basics in Mumbai from the Shreemati Nathibai Damodar Thackersey Women’s University. At that time, only the rich and high-classed had accessed to fashionable clothing. Of course much has changed since then, and Dongre is the name that is responsible for much of that change. 45-year-old Anita now runs a corporate fashion house that consists of five labels with over 120 outlets across the country. There isn’t a better person in India to learn the business aspects of style from. Her projects are varied and distinguished. She has designed the uniforms for Dhirubhai Ambani’s pre-school, and also the staff at the Taj Group of Hotels. Anita is without a doubt among the best in this list of the top fashion designers in India. First enrolled in catering, Rodricks realized his true calling when he entered the world of designing clothes. His minimalistic and chic styles drenched in the white are a revered sub-genre of fashion in the country. When one talks of Wendell, clothes aren’t where his professional expertise ends. Rodricks is a multi-faceted master, and is a regular columnist for Femina, and other leading news houses, along with being an art patron, who promotes Goan art by organizing showcases at the Wendell Rodricks Couture Salon. Wendell’s position on this list of the top fashion designers in the country is well warranted. The duo of Jani and Khosla, also popularly referred to as the boys, are largely responsible for the contemporary styles of bygone works of Indian art alive in full color today. They have together mesmerized the style circuits with their eccentric talent, and fine attention to detail. They travel to the remotest parts of the country every year in search of that that is missing, and return to showcase to the world. They are the first Indians to bring their unique collection to the Harrods, the UK based luxury store. Abu and Sandeep are not mere Indian fashion designers, they are artists! Based in New Delhi, Manish has showcased his work at the best ramps around the world. His collections have been shown in the London Week for four consecutive years since 2005. Once a student of commerce, Arora decided to change his path in life, and move towards the vibrant shades and eccentric styles that make up his collections. He is known globally for his psychedelic colours and kitsch motifs, that are combined skillfully with traditional Indian crafts like embroidery, appliqué and beading with Western silhouettes. His label is sold in 84 stores worldwide. Manish Arora’s collaboration with Reebok, for a range called “Fish Fry”, is a great success in India, and around the world. Have some recommendations for the top fashion designers in India? Let us know your own list of the tops Indian fashion designers in the comments below.